I bought a DVD last week and as it turned out the DVD is only suitable for Region 1 DVD player. I didn’t know that! Do you? Don’t pretend; it’s okay to admit your ignorance too. Who knows these details! In fact, I was in a hurry so I just asked the shop assistant to help me look for the title of the movie that I wanted to buy. She picked up the DVD, I paid and left. In the evening, I put on the DVD in the player just to find out that my player did not support DVDs from Region 1. I searched for the contact number of the shop and I called. The conversation went ugly when the person who took the call scoffed at me for not knowing the region type of my DVD player. His suggestion was to play the movie on the Region 1 player. Yeah! I have 5 types of DVD players in my house; the one in the kitchen is the Region 1 player. In my effort to appear civilized and cultured, I told him that it was their staff who gave the DVD to me and it was the responsibility of the employee to notify me that the DVD is not good for this region. “We have all kinds of DVD! You think we have one type only ah?,” he again blamed me for my ignorance. “Since you bought from the girl, you settle the matter with her lah!,” he added. “What time did you come? Morning? Afternoon? Night? Dawn?” he toyed with my feelings in a very irritating way. I was flabbergasted to learn that VideoEZY could employ someone who is not only unprofessional but also very hostile to the client. I lodged a complaint via email to the shop and VideoEzy but after one week, nobody replies. I guess one client is not important enough for them to care. My husband and I have made our executive decision to not buy or enter any VideoEZY outlet til the day we leave this earth. Therefore, Speedy will get our money and we do spend a lot on DVDs and BluRays every month. The point is: it’s pretty easy to lose a customer. Support is an important part of any business. Shall the person who picked up my call tell me that I could swap the DVD with the correct Region type within 2 days; it would make me a happy customer. Shall he apologize on the girl’s behalf and tell me to come to the shop and he’ll see what he could do, that would make my day. Apart from solving the problem, the way you attempt to solve it is equally important. In these days and age, people are getting impatience than before. A delayed response to an enquiry or a support request could risk a business opportunity or could lose you an important client. And most important of all, customers must have channels to reach you and you must be able to feedback to them in a timely manner. Strengthen your support system, tap on FingerTec’s support resources online, alert on all enquiries and support requests, I bet you will not only retain happy customers, orders will come in due to rave reviews from your current clients. When your customers knock, make sure you answer. And for the uninitiated, Region 1 is for America. There are numerous benefits to fingerprint reader software and facial recognition for clocking in and out. One of those benefits just happens to be the elimination of a coworker clocking in for you. I'm sure many of us have been tempted before to call our buddies at work when we're running late to clock us in. No one wants to lose pay or get in trouble with the boss. But we have to remain honest and docked pay will certainly teach us not to be late again. Fingerprint time clocks will make this scenario impossible to achieve, unless you're secretly a spy or a tech junkie and know how to create a silicon finger print. But isn't that a little extreme for a desk job? I guess it's not more extreme then chopping off a finger...well actually that would only work if it were within seconds of severing because the sensor detects the moisture and warm temperature of a live finger. With the impressive technology of FingerTec, your employees will remain honest, and hopefully on time. There is no need to ponder about them cheating you out of money. The technology is there, so why not use it? My wife, daughter and I arrived for a vacation in Paris on the 15th of July; a day after the French celebrated their National Day. In 14th of July 1789, exactly 222 years ago, the people of France staged a rally to storm the notorious Bastille fortress-prison to release the political prisoners, and the date was celebrated as a notion of uprising of a modern nation, and sparked a Revolution that resulted in the collapse of the French monarch (although democracy republic of French was truly achieved in 1875), and eventually sent Louis the XVI and his wife, Marie Antoinette to the guillotine 4 years later. The modern era unfolds in the enlightenment of the French Revolution. The growth of the republics and the liberal democracies, the equal opportunities and the human rights, the spread of secularism, are all the outcomes of this Revolution that took place 200 years ago. When a lot of people admiring the magnificent edifices that are left behind by the rulers such as Palace of Versailles in 1682 by King Louis XIV, and Arc de Triomphe monument commissioned in 1806 to celebrate the victory of Austerlitz by Napoleon Bonaparte, or the iconic Eifel Tower to mark the 1889 World’s Fair, where tourists snap pictures to prove their presence in Paris, it seems to me that the real contribution to the development of modern civilization lays in the four volumes of book, The Social Contract, or Principles of Political Right, written by a French philosopher, Jean-Jacques Rousseau (1712-1778), which heavily influenced the Revolution, and became the ideology guidance to the French people. Philosophical guidance is always present in building of a great nation, and it is true for the successful brands too. For example, the French-made famous top fashion brand Louis Vuitton or largely referred to as LV, leading the trend for more than a century, persists in its own brand as the philosophical guidance, taking pride of the only leather-goods firm, for instance, it never puts its products on sale at a discount. It destroys stock instead, keeping a close eye on the proportion it ends up scrapping, which they called “destruction margin”. Because of the persistency of its own brand, LV never gives licenses to outside firms, to avoid brand degradation. Besides, its factories adopt techniques from other industries, notably car making, and even hired quality supervisors from auto-parts suppliers to oversee the quality control. The result is fashionable handbags combined with long-lasting utility. At FingerTec, We Make Things Easy has become our philosophical guidance. Our vision and mission are centered-around this ideology, to ensure easy deployment of our products in different levels of users and in almost all kinds of industries. 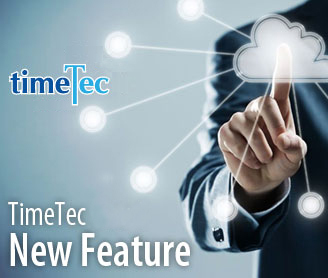 With a clear guidance, the marketing and technical supports strategies also can be smoothly drawn and formidably followed by the FingerTec team. The new Arc de Triomphe in La Defense? In July, the weather in Paris was unexpectedly cold. 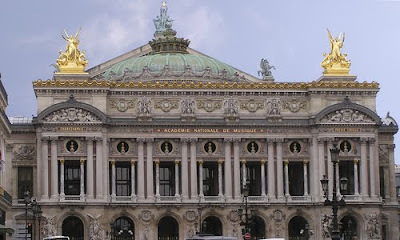 We have particularly enjoyed the French’s culture, exquisite culinary and breathtaking scenery. I spent two days in the labyrinth of mammoth Louvre Museum for the Renaissance’s art paintings and antique sculptures, half day in Orangerie Museum mainly admiring Impressionist artist, Claude Monet (1840-1926) collections - Water Lilies series, depicted in varying time and weather. We also didn’t miss the opportunity to join a local tour group to visit Monet’s mansion at Giverny, where we found the garden pond filled with water lilies that inspired his painting works. When most of the modern cities around the world compete to build the tallest skyscraper, Paris keeps the old and the new separated, and its buildings low (except for the La Defense business district at the Westernmost part of Paris) to maintain its legacies. 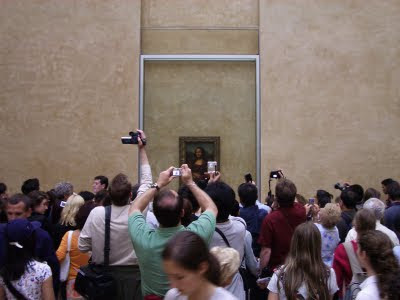 I assume a proud nation with a wealth pool of history and culture, when heard about a tallest building being built somewhere in the world, can simply disregard the news with an enigmatic smile just like its invaluable painting collection, Mona Lisa, in the Louvre. In fact, when we decided to create our face recognition reader, some suggested that we upload a high-tech look of digitalized human face as the startup image and when the reader at the idle mode. But Mona Lisa immediately prevailed without a second thought. And when our new Face ID 3 model is about to take its debut, we will maintain the tradition. Whose face would be more recognizable than the classic Mona Lisa? If you've ever watched The X-Files you probably noticed that although agents Scully and Mulder are not cleared for higher level security they always manage to break in and get evidence they were never meant to obtain. If you had a show like that now, the premise could probably never work. Either that or they'd have to get more inventive. see, had there been finger scanner technology in the buildings with the super secret conspiracy files, The X-Files would have to feature episodes where the two super sleuth alien investigators try valiantly to break in only to go home defeated and settle for watching episodes of Jeopardy. That's not very entertaining to watch, but at least we'd think more highly of the security system responsible for national security. Biometric technology scans intrinsic physical or behavioral traits of people. The most easily identifiable features that also happen to be the most unique are the fingerprint and the eye. Each person has a different pattern. It is for this reason a fingerprint door lock is a much safer system to have in place. It's a great product for businesses, hospitals, and security facilities of any kind. "My baby takes the morning train. He works from nine to five and then, he takes another home again..." You've heard the song. Well, what if you didn't really know if your baby was working nine to five, hmm? And just maybe his boss has the same concern. That's how employers sometimes feel when they don't have an efficient clock in and out system. Sure, there's some idea of who's on time and who's consistently late, but when your employees fill out their timesheets and the numbers just don't match the amount of work you start doubting the efficiency of the system. What if there was something you can use to keep track of everyone that was foolproof? There is! FingerTec employee clock in software uses state of the art technology called biometrics to scan and remember each employee's fingerprint. Now you have complete control of your kingdom... er, enterprise. It is a great thing to have. It keeps employees on time and (hopefully) motivated to come in every day as they're supposed to. The added benefit of having the finger scanner is that nobody can fake for anyone else. Of course, if you work in a very high security facility, though, you might even want to consider the face recognition technology. These are brilliant because you not only want to keep track of when someone is entering and exiting but who is entering and exiting the workspace. 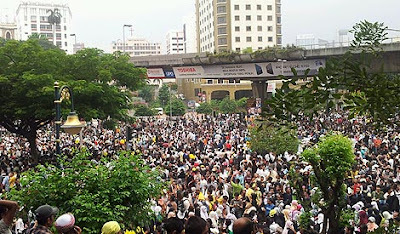 Last Saturday, on the 9th of July 2011, the whole nation was anxious to see what’s going to happen in the so-called illegal rally of Bersih 2.0 in Kuala Lumpur. After weeks of demonizing the rally from all angles, and threats from the authorities to clamp down hard on the demonstrators, the whole nation waited at the edge of their seats. All major roads to the city were closed. People were diverted away from the city, and advised to stay at home. Announcements to not partake in the illegal rally flooded major newspapers and even electrical road signboards. Civil servants and scholarship students were warned not to join the rally, or they would have face the consequences. Roadblocks that were staged on Wednesday to check for imaginary weapons had caused massive jam in the already heavy office rush in Lembah Klang and anger throughout the KLites. And as the last resort, the authority announced 91 names of key people to be banned from entering Kuala Lumpur. Thousands of police officers and police reserves were planted on various sites in the city to keep the demonstrators away and to maintain the peace. So when the day came, people waited to see whether the clamp down had deterred the spirits of the demonstrators. They waited to see how many would turn up and successfully slipped the fortress. By 10am, 1,000 were seen on the road and the numbers increased by the hour and despite the rain, tear gas and water cannons attacks fired by the police and FRU, more than twenty thousands turned up to flood the roads of Kuala Lumpur for a peaceful rally demanding Electoral Reform for clean elections. The demonstration went on regardless. I’m not being political in this article but this event goes to show that united we stand, divided we fall. All these people stand united for a cause and they didn’t let any threat to discourage their fighting spirit. They may be small in comparison to the whole population but the impact they created were huge and they rocked the nation to its core. They didn’t let the big boy dictate how they should do things. They stuck to their promise to stage a peaceful rally, so peaceful they came, peaceful they walked and peaceful they left. Whether they achieved their objective or not had become secondary, the more important thing was, they tried. It’s important to be seen, it’s important to be heard, it’s important to create an impact. It’s especially true in business as well. Why do we constantly insist on success stories, Facebook updates, Twitter updates, website links from all our esteemed partners around the world? The answer is simple; we want to create an impact. One party couldn’t do it as large as a large group could. Let’s stand together and unite to create an impactful marketing for the FingerTec brand. An update of Twitter about FingerTec in India could create an impact for FingerTec in South Africa. 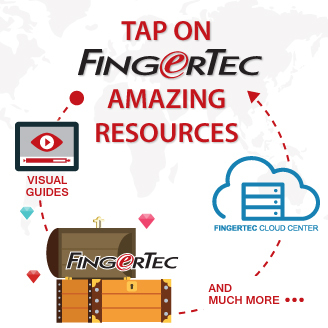 Let’s build a community of FingerTec Worldwide that’s available worldwide using the available technologies. Let the big boys do as they please – we will go our own way and if we are sustaining our way, we might just create an exceptional impact one day. Godspeed. Yellow badges inscripted with the word 'Bersih 2.0' (a mass rally planned on 9th July, also known as the Walk for Democracy) flooded Facebook, since a large number of Malaysians responded and supported the call for a clean and fair General Election, and added the yellow badges onto their profile pictures. 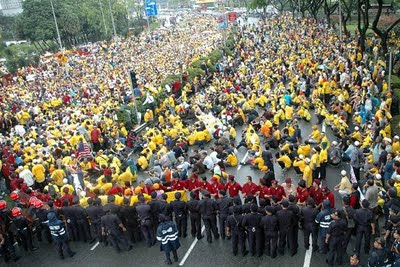 The first Bersih rally was organized in 2007, and ten of thousands of Malaysian citizens joined the march to the Palace to hand over the memorandum to the King. This version two is jointly organized by over forty non-government organizations for the same objectives. Despite the government's clamped down on the pre-launch activities and arrested dissidents and detained opposition party leaders on top of imposing threats, the call for a clean election is still well received by the people. When the Jasmine Revolution aimed to topple the corrupted governments in many countries in North Africa and the Middle East at the beginning of this year, this yellow Chrysanthemum movement in Malaysia is not a drastic political action, but rather to urge the Election Committee to ensure that no dirty tactics and to create a fair ground for the people to elect a government that truly represents their choice. Fair ground, that is the punch line. Without the fair ground, there would not be a fair competition. Unfair competition twists the ballot boxes, which would result in political power to fall into the wrong hands. In the business world, if an entity or a few entities control over the market through monopoly or oligopoly, consumers would be the victim of substandard products or services, or we are forced to pay a higher rate for the same products or services. 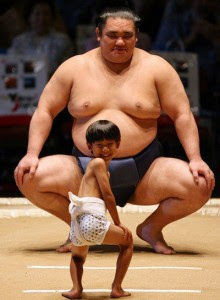 When there is an unfair competition, ethical issue would normally arise. Fraudulent, deceptive, or dishonest trade practices are the main causes that give rise to the unfair competition. Competition creates incentives for businesses to earn customer loyalty by offering quality goods at reasonable prices. And I always thought that the business world was much cleaner than the political arena. My jaw dropped last week when Norana Johar, our COO passed me a document she got from one of our overseas distributors. It was about a Chinese biometrics supplier that launched a poison pen email attack to another Chinese biometrics supplier, with the intention to switch the rival's resellers over to them. But I dare say that even if the strategy worked, the resellers that this company recruited would not be of any good quality. The malicious attack might damage the competitor's image at a certain extent, but it could also backfire to ruin one own's reputation. Furthermore, accusation without solid ground would expose oneself to some legal risks too. Even if there are some truthness in the allegations, the market would soon find out. The better way of winning customers to your side is never by assaulting your competitor, but to build on your own competitive strengths. Innovation is the key element for technology industry, where one has more options to draw out his plans and directions, and build his own blue ocean strategy market more easily than other industries. I always believe that if a technology company sought to use unethical strategies, they chose to walk on the dark side of the moon, never would they see the brightness of the sun. Now we use fingerprint reader software to keep track of individuals. It's quick, easy, and all very science fiction kind of awesome. But, before we had this amazing technology to do the work for us, somebody had to keep tabs. These fingerprint recorders needed to know the ins and outs of fingerprint classification. They were masters of their craft. Fingerprints can be classified by pattern types. There are two types of loops, common and radial, arches, whorls, and composite mixes. From there fingerprints are differentiated by any incomplete lines, disruptions, and peculiarities in the patterns. It would take a long time to get each fingerprint stamped, marked and analyzed. Now it's not an issue because a fingerprint scanner can recognize previously recorded fingerprints. It saves a lot of work and the chances of an accurate reading are much higher. Given that before scanner technology, fingerprint analysis wasn't used to track employee time schedules. That's what makes this technology so incredible. It's taken analysis and made it useful for many other purposes. 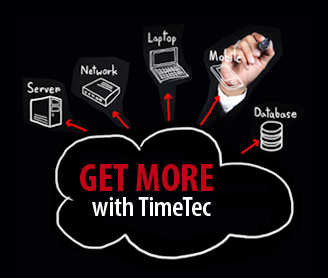 It's great as employee time clock software. There's no way to fake a sign in or sign out unless you're a techie nerd with skills. It opens the potential for reader software in the future.